When it comes to dumpster rental, carting, and demolition services on Long Island, there’s only one company that you need to call: Prestige Carting. For more than 20 years, the experts at Prestige have been providing professional, reliable, efficient, and affordable services for Long Islanders. Whether you’re renovating, landscaping, or demolishing, you can count on the crew at Prestige Carting to make your project go as smoothly as possible. After searching for what seems like an eternity, you’ve finally found a property that has all of the features you’ve been looking for. It’s in a great neighborhood, it has plenty of room to grow, and it has breathtaking views. But there’s just one problem: you aren’t too keen on the house that sits on your dream property. Should you renovate the house or just tear it down? – That is the question. If you’re having a hard time deciding which way to go, consider the top five reasons to tear down a house and demolition may be the best option. If the house is dilapidated, it may not be worth salvaging. It may require extensive repairs to restore its structural integrity, bring everything up to code, and ensure its safe to live in. The foundation, load-bearing walls, windows, roof – and more – may need to be repaired or completely replaced, for example. Extensive repairs can be extremely expensive. Believe it or not, tearing down the house and building a new one on the property may actually be less expensive than restoring it. When a house is severely neglected or abandoned, new residents might take it upon themselves to move in before you do; and you probably aren’t going to want to share your living space with them. Termites, rats, mice, carpenter ants, and other pests seek out shelter in abandoned homes and use the materials for their own benefit. These pests are more than just a nuisance; they can carry disease and cause serious damage to the structure of a house. It can cost hundreds of thousands of dollars and a tremendous amount of time to repair the damage to make the property habitable. If the house on your dream property is severely infested with critters or creepy crawlies, instead of redeeming it, you may be better off cutting your losses and tearing it down. Even if the house is in fine condition, it may not meet your needs. For instance, it may be too small (or too large), it may have an odd layout, or the design of the house may not appeal to your taste (it’s Victorian and you’re more of a mid-century modern type of person). Sure, you could do a complete redesign, but the cost can be astronomical and it can take years to complete the project. Instead of trying to completely transform the house, knocking it down and building something that truly meets your needs may be a more cost-effective solution; plus, building a new house may be faster than renovating and remodeling. You love the location of the property, but you don’t love the location of the house that sits on it. For instance, if it’s a waterfront property, the house may not be sitting in a position that will allow you to take full advantage of the water, or if you have children and pets, the house may be situated too close to the street. While picking the house up and moving it to another location is a possibility, unless you absolutely love the house, repositioning it probably isn’t the best idea. Moving a home is a very involved process that can cost a tremendous amount of money. Plus, the structural integrity could be compromised during the move. If you aren’t happy with where the house is positioned on the land, demolishing it and building a new house on the ideal location is probably a better idea than moving the existing structure. If any of the above apply to the property you are interested in and you have decided that demolition is the way to go, contact Prestige Carting. 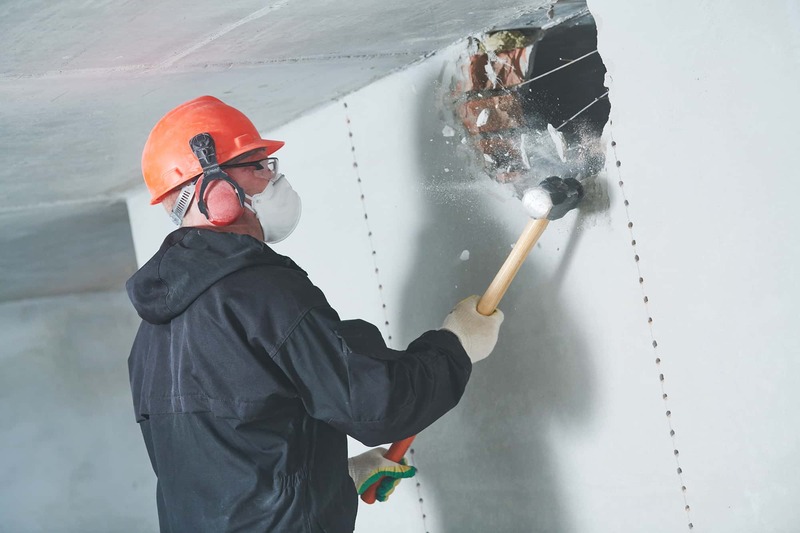 Their crew of highly trained, experienced, and professional demolition contractors will take down the house quickly, safely, and affordably so you can get the most out of your land and use it the way you want to.